In order to be able to cope with the pressure of innovation in the digital world, companies need digital solutions. However, simply owning technology is not enough – it must be understood and implemented intelligently in order to shape a company's future digital and innovation culture. 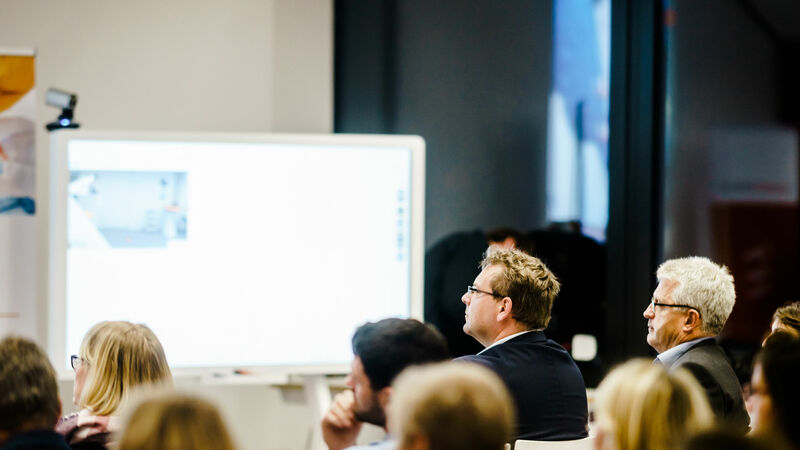 What is the Digital Leadership Lab? 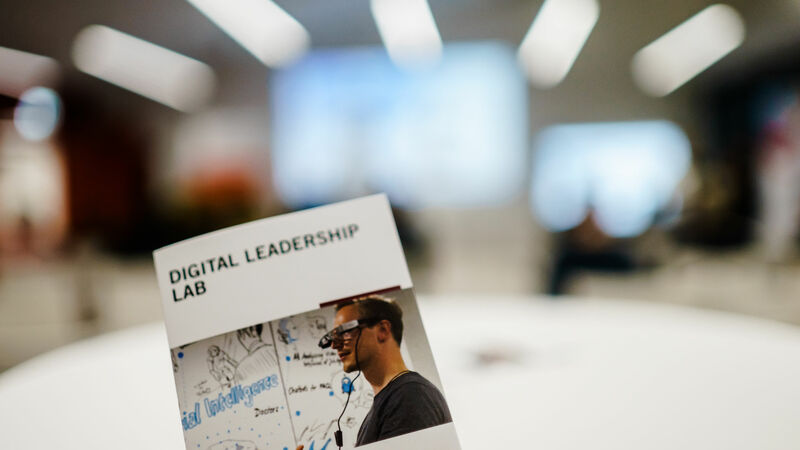 The Digital Leadership Lab connects leaders with the latest tools of the digital world. 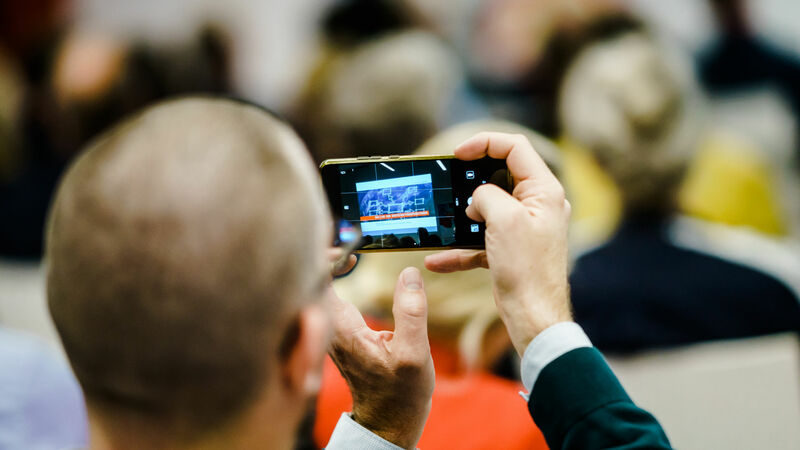 Innovative applications and working methods are assessed and used with academic guidance to help develop successful digital and innovation cultures. Who started the Digital Leadership Lab? 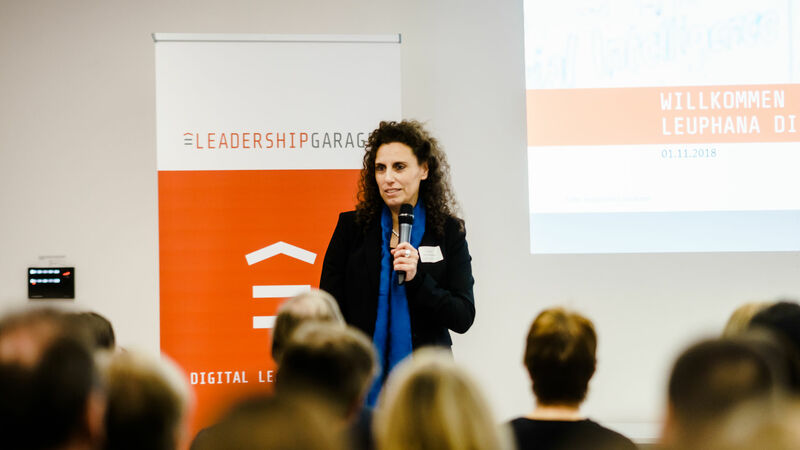 The Digital Leadership Lab is a project from the LeadershipGarage, a part of the Institute for Performance Management at Leuphana University Lüneburg. 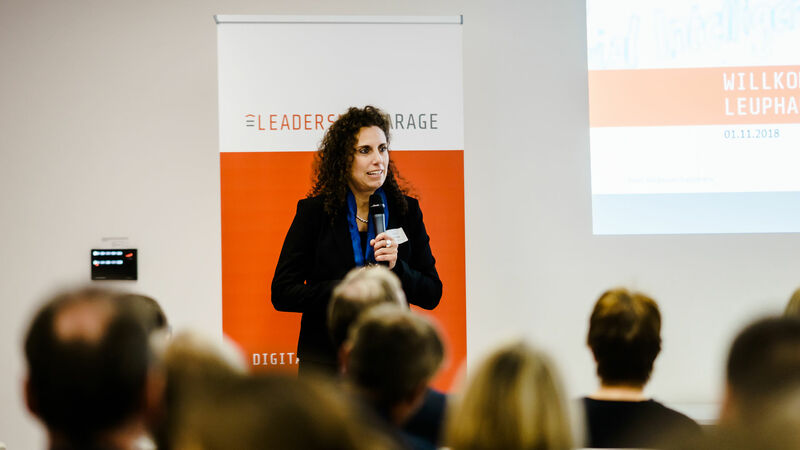 Under the direction of Prof. Dr. Sabine Remdisch and in cooperation with the H-STAR Institute at Stanford University, the LeadershipGarage researches digital- preparedness, leadership and collaboration, and develops innovative solutions for leading and working in the digital world together with its business partners. Where do I find the Digital Leadership Lab? 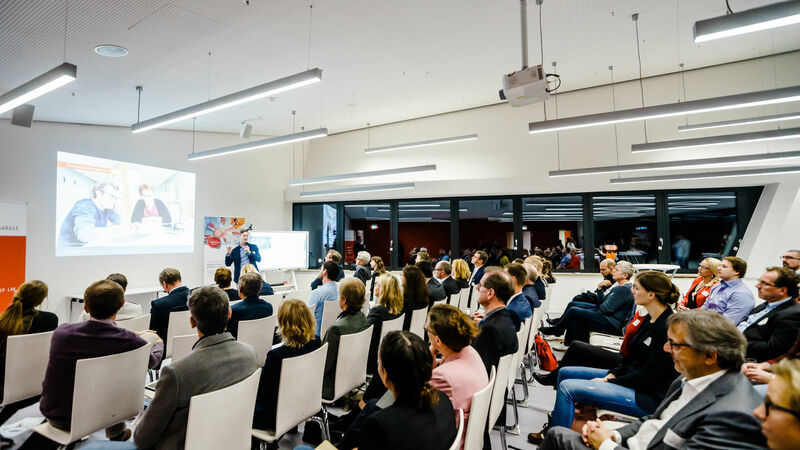 The headquarters of the Digital Leadership Lab is the inspiring atmosphere of the Libeskind central building of Leuphana University Lüneburg. 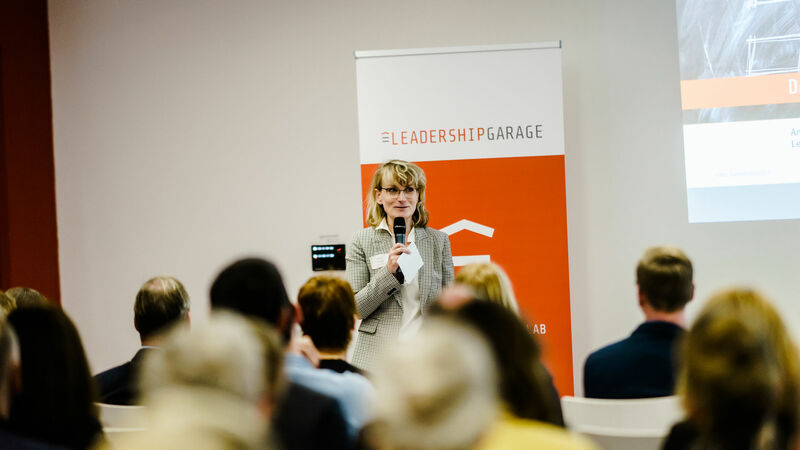 The LeadershipGarage researches the requirements for innovation - and the Digital Leadership Lab transforms this knowledge into innovative practice. As drivers of a successful innovation culture, leaders are shaping the digital transformation of their organizations. Leadership is increasingly taking place remotely and across time zones - leaders need digital tools for global networking. Flexible work can distance employees emotionally from their companies - leaders must build loyalty and trust, especially through digital communication. Constant improvement and unrestricted availability can become a burden - this calls for leaders to create and foster a healthy working environment. Innovative companies rely on talent - leaders need to attract and retain digital natives. 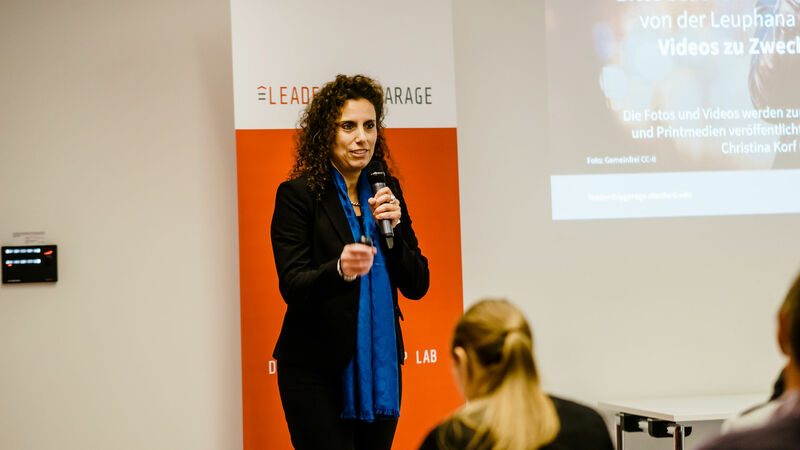 The Digital Leadership Lab draws from the research of the LeadershipGarage and offers tools and methods for leading remotely, leading innovation processes, collaboration in virtual teams, and healthy work in the digital world. 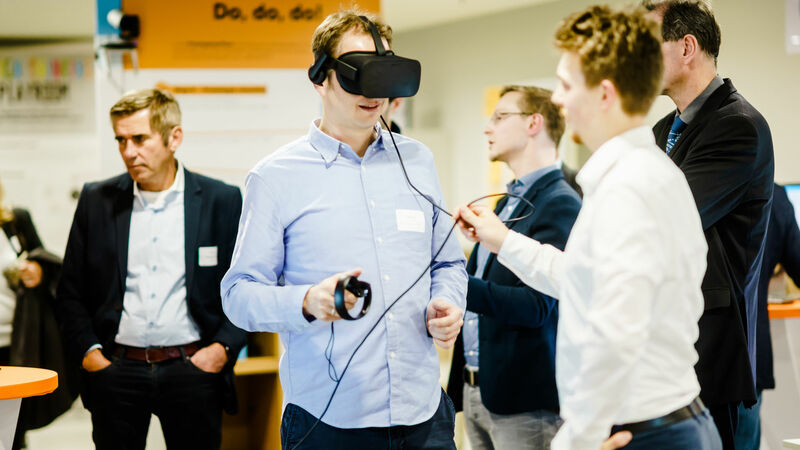 The tools provided by the Digital Leadership Lab include hardware solutions such as interactive whiteboards, web conferencing systems and virtual reality glasses for mixed reality scenarios, as well as software solutions for digital collaboration and data-driven leadership decisions. 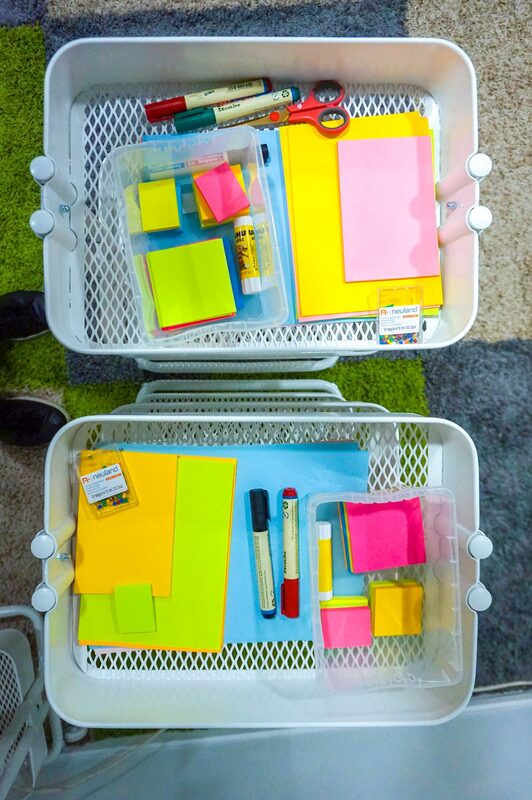 With the Design Thinking Box, leaders can also learn how to drive a positive culture of innovative thinking in their organizations. Through systematic testing with practitioners and students, the lab provides new insights into the success factors of using digital technologies. In practical workshops, you will gain insight into functionalities and can test the innovative potential of tools for your own teams. 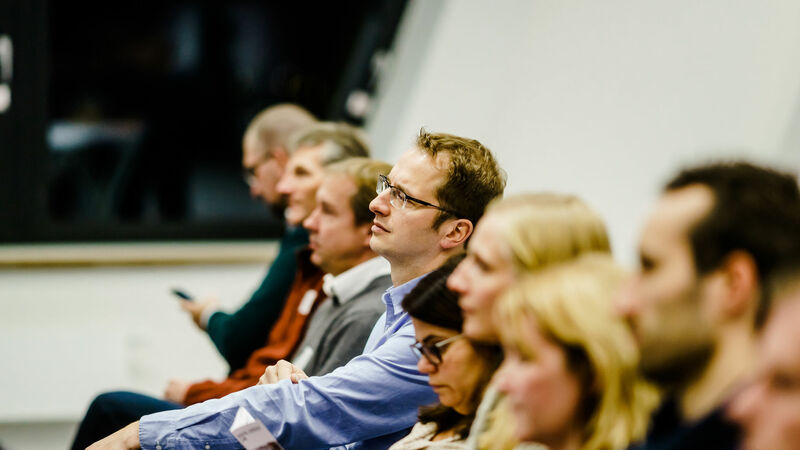 Individual learning sessions on focused topics for leaders and their teams are also possible. 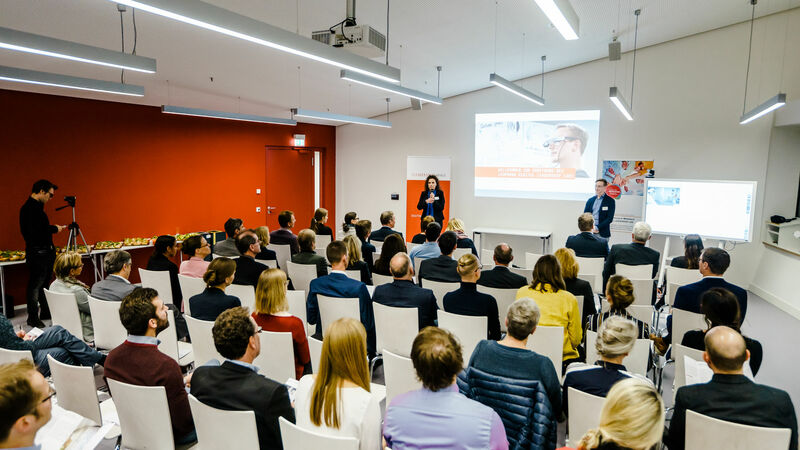 Many “mittelstand” companies are facing the challenge of finding technological innovations for employee management and cooperation which are effective and future-oriented. 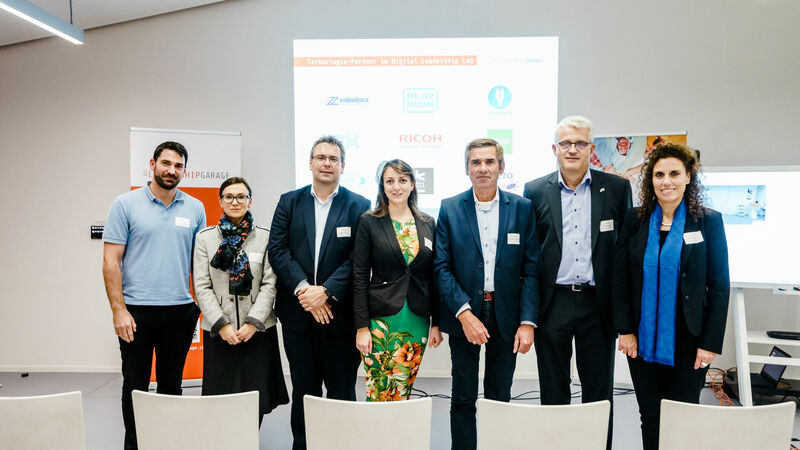 The project Digital Leadership In The “Mittelstand“ @ Digital Leadership Lab addresses this challenge by training leaders from the Lüneburg region and from Lower Saxony to be innovation drivers for new forms of work in the Digital Leadership Lab. The project is funded by the European Social Fund (ESF) through the end of 2019. 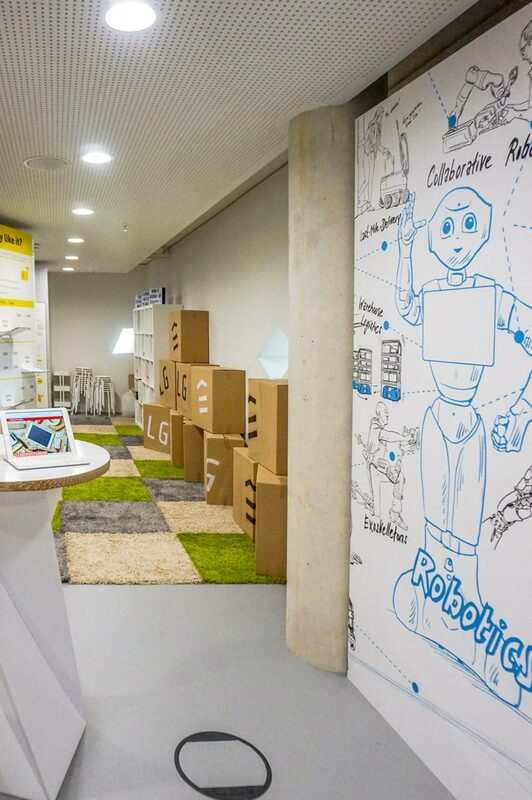 Creative space for design thinking is another core element of the Digital Leadership Lab - where leaders develop their innovative spirit, and the innovation culture of their teams. Design Thinking is an internationally renowned method, developed in Silicon Valley, which systematically guides teams through idea and innovation processes. Teams empathize with users, define their problems, ideate solutions, create basic prototypes, and test them as quickly as possible in order to revisit steps in the design process and improve their ideas. An engaging culture of design thinking increases the innovative potential of organizations by focusing on user needs, incorporating empathy as a core skill, and fostering cohesive teams. At the Digital Leadership Lab you have many opportunities to learn about and try out Design Thinking for your team. In addition to the material resources, our Innovation Fellows, trained at the d-school of Stanford University, are at your side for guidance. Initiated by Stanford University's Hasso Plattner Institute of Design (d.school), the UIF program empowers students to initiate change in higher education using the method of design thinking. 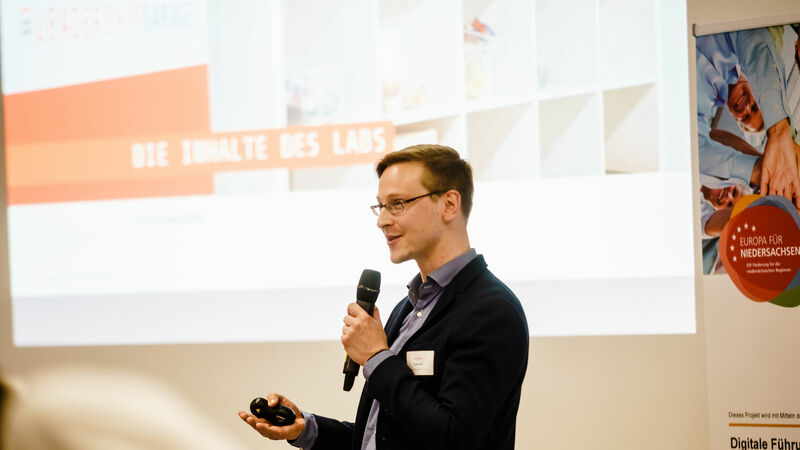 Leuphana is the first German university to offer its students this unique training as a change agent. 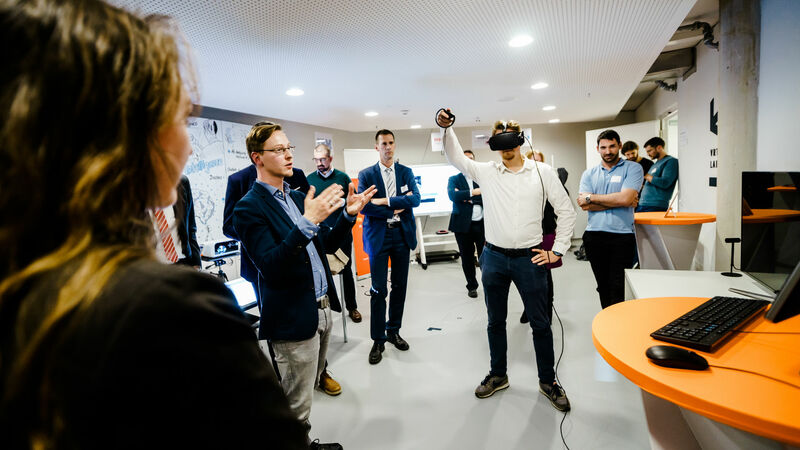 In the Digital Leadership Lab, they now act as mentors, guiding you and your team through your specific innovation processes and familiarizing you with the techniques of Design Thinking.